Conflict-sensitive electricity planning, social movements, German development co-operation, constitutional power-sharing. Maurice studied at the University of Bonn. During his studies, he gained considerable experience in development co-operation. In 2009, he interned at GIZ in Yemen, working on Food Security and Conflict Sensitive Project Approaches. From 2009 to 2011, he was closely affiliated with the project “Ballistic Missile Defense Research” and the “Academic Peace Orchestra Middle East” at the Peace Research Institute Frankfurt (PRIF). In 2012, he worked as a freelancer for GFA Consulting group and GIZ in Egypt. 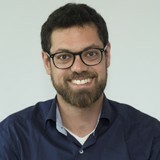 As a PhD-researcher at BICC, he focuses on empirical field research in Tunisia conducted in the Project “MENA SELECT – MENA Sustainable ELECtricity Trajectories”. Döring, M. (2019, January). Energy planning towards sustainability: Anchoring Tunisia’s energy transition to the local level (BICC Policy Brief series No. 1/2019). Bonn: BICC. Döring, M., Schinke, B., Klawitter, J., Far, S., & Komendantova, N. (2018). Designing a conflict-sensitive and sustainable energy transition in the MENA region: Towards a multi-stakeholder dialogue on energy planning (MENA SELECT Working Paper). Bonn: BICC. Döring, M., Far, S., Marrouki, S., & Elgolli, R. (2018). Energy for the Future – Evaluating different electricity-generation technologies against selected performance characteristics and stakeholder preferences: Insights from the case study Tunisia (MENA SELECT Working Paper). Bonn: BICC. Schinke, B., Klawitter, J., Döring, M., Komendantova, N., Irshaid, J., & Bayer, J. (2017). Electricity Planning for Sustainable Development in the MENA Region (Mena Select Working Paper). Bonn: BICC.